While there is still a lot to be said and done about the way marginalized identities are represented in Hollywood, 2017 seemed to be a milestone year for the industry. Three of the Oscar nominees for best film had leads that were people of color, and “Moonlight,” a film about queerness and black masculinity, won best film. This year, the Academy has fewer movies with people of color leads in the running for its coveted awards, but one group that has gained recognition is rural or working-class America, specifically single-mother households. Whether this is a response to increased scrutiny of rural America after the 2016 election is up for debate, but there is no doubt that these movies have offered a unique perspective into everything from Olympic ice skating scandals, to questionable mother-daughter relationships, to a young child’s summer vacation. The Academy will reveal which movies and actors will win in their categories when the awards air on Sunday, March 4. Until then, check out The Hullabaloo’s thoughts on some of the movies that put rural America in the spotlight. Quick sports history lesson: Tonya Harding is a name not many people who were cognizant in the late 90’s or have ever seen ESPN’s 30 for 30 series could forget. The Olympic figure skater was in national news cycles for months following the assault of one of her top competitors, Nancy Kerrigan. Throughout its coverage, the story was constantly evolving as those involved came forward with their accounts, often changing their story multiple times, and even to this day there is speculation over what is and is not true. Now, those familiar with the chronicles of Harding might remember how strange almost everyone involved was, from Harding’s dry and eccentric mother to her deranged bodyguard Shawn, who claimed to be a counterintelligence operative against terrorist cells across the world (this, of course, was not true.) “I, Tonya” captures the absurdity of the whole situation with a sharp humor that is, at times, very cutting. “I, Tonya” also gives us a look into Harding’s not-so-glamorous life. The muted colors and gloominess of rural Oregon are starkly juxtaposed against the glitter and elegance of the figure skating world. While her competitors came from “wholesome American families,” Harding grew up in a single parent, working-class household that was often physically and emotionally abusive. While her competitors were sporting thousand-dollar costumes on the ice, Harding had to make her costumes by hand. From the first scene of the movie, Harding seemed to be working against the odds; Margot Robbie didn’t have to scream it in the judges’ faces for us to tell, but she did it anyways. To this day, there is still disagreement over Harding’s innocence and character, but “I, Tonya” does not attempt to present its point of view as the final truth of the story. Instead, the film is meant to challenge our perceptions of Harding’s character, and it subtly examines the way we consume individuals through the media. “Lady Bird” isn’t necessarily an ambitious film. 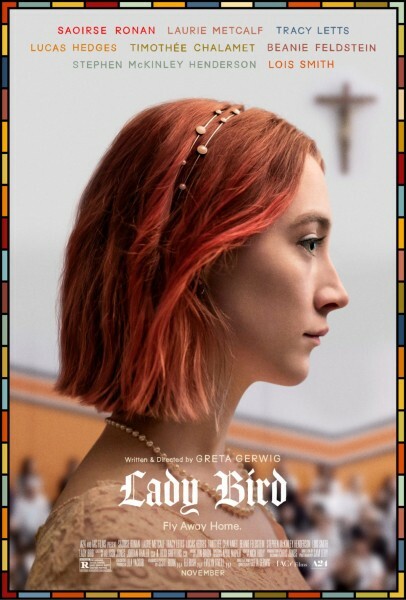 Like most coming of age stories, it is led by a headstrong and accidentally charming teenager – Christine McPherson, who insists on being called Lady Bird – just trying to find their place in the world. One of the most appealing aspects of Lady Bird is that it takes place in 2002 in Sacramento, California. Subtle reminders of the world in which Lady Bird lives come in the form of music, clothing and news coverage of the Iraq War. This film, much like 2014’s Boyhood, ventures into a fairly uncharted territory of 2000’s nostalgia, reflecting a whole new generation of childhoods onto the big screen. “Lady Bird” is about an adolescent’s thirst for individuality and a working class family’s struggle to survive in suburbia, but the centerpiece of the film is the tumultuous relationship between Lady Bird and her mother. The most sobering moments of the film rest in the complexity of a mother-daughter relationship plagued by a lack of common ground. The two characters seldom understand each other and the line between maternal love and maternal abuse is ever thinning. The film lays out all of Lady Bird and her mother’s character flaws in their worst moments while straying away from flat and malicious characterization with their best moments. Above all, “Lady Bird” excels in its realism and relatability. It reminds us of the words we may have left unsaid and the love we may have denied. It reminds us of the adolescent hunger to leave home and the 20-something thirst to return. 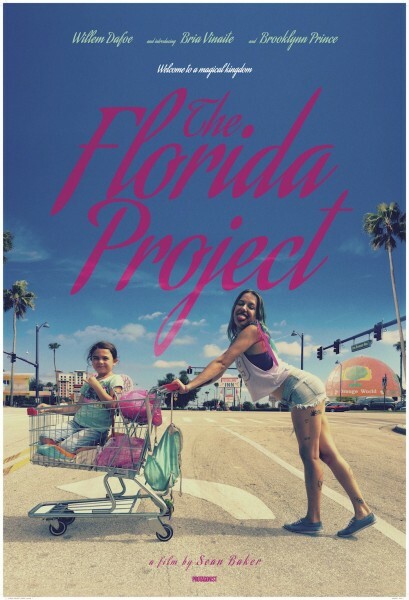 While all of the films mentioned above feature their own heavy dosage of social realism, there is one aspect of “The Florida Project” that makes it peerless: it is American poverty told from the perspective of a child. Almost every frame of the film features heavily saturated pastels and camera angles from the height of a small child. We follow six year old Moonee through her world over the course of her summer break, spent in the shadows of Disney World. These shadows lack the magic of Orlando’s theme parks, given that Moonee lives in a low-budget motel that essentially functions as a housing project for families that fall far below the poverty line. The dichotomy between the magic of Disney World and the hard poverty in which the main characters live is never acknowledged with dialogue, yet lingers in the backdrop of their everyday life.